We’ve learned a lot of techniques to heal ourselves from diseases. 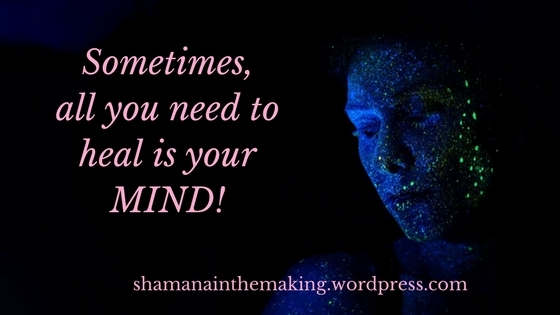 With all the techniques available now, such as energy healing, sometimes, the only thing we need to tweak or have is our MIND! In the last post I had asked a question: “Can I heal myself?”. And although I know the answer of course is a resounding YES, I’d like to share another way to “heal thyself”. There is a video and a story moving around the internet right now – actually more around the MindValley Academy community. It revolves around a power couple named “Donna Eden and David Feinstein”. Both individuals practice and teach what we call “energy medicine”. Now when I read the word “energy medicine”, I immediately connected it with something about moving energy around the body, our chakras and our aura or etheric field. This is because I studied “pranic healing” sometime ago with pranic healing teachers that included the late great Master Choa Kok Sui, the modern teacher of pranic healing. Pranic healing basically means “healing with energy” using our own energy and sometimes the help of other people’s energies voluntarily given or shared. Historically, it is a 5,000 year old practice, originally rooted in India (pranic comes from the Sanskrit term “prana” which means “energy”). However, it has similarities with traditional Chinese and Thai concepts of healing using energy pathways in the body called “meridians”. These meridians are where our body’s energy called “chi” or “qi” moves. But going back to Donna Eden’s and David Feinstein’s “energy medicine”, the center of this practice is Donna Eden. Forty years ago, Donna was a very sickly kid with chronic bouts of allergy and various bodily ailments. Her sicknesses became so bad that it resulted to multiple sclerosis and even a heart attack at a young age. Donna went to several doctors who diagnosed and recommended a host of treatments – all of which did not stop permanently her health problems. And when the illnesses continued, her body’s organs started deteriorating leading to a heart attack at one point – at the young age of 27. It was one day that after she got another doctor’s diagnosis that went nowhere, she finally decided to “heal herself”. As a young child, she could see patterns of energy moving around the body – in fact, 9 patterns of energy moving around the human body. So, with what she could only attribute as “divine guidance”, she finally decided to put her hand around her waist. And when she did that, she felt better. In fact, in the following weeks, she gradually and consistently healed herself, meaning one by one, her ailments started disappearing. Flash forward and we see Donna with her husband David Feinstein, a brilliant and well-respected clinical psychologist from John Hopkins Hospital in the US (he has written 100 peer-reviewed articles about healing), teaching “energy medicine” to at least 100,000 people in the world! Donna Eden explains what is “energy healing medicine” and how to do it. What is so amazing about “energy medicine”? Well it has many similarities with pranic healing or reiki, as I said earlier. But this gets better because finally, someone from the scientific, medical community (that’s David Feinstein!) has stood up to support what others in the field call “alternative healing”. Basically, Donna uses her gift of seeing the movements of energy in our bodies to teach people how to “unblock” any impediment in the natural free flow of energy in the human body. 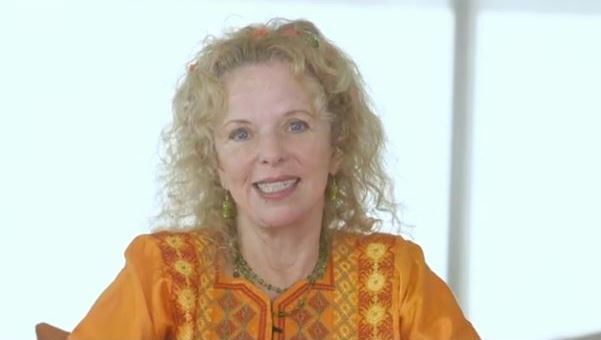 This she demonstrates in a recent video made in the MindValley Community with MindValley founder Vishen Lakhiani (see the video available for a limited period here: Energy Medicine by Donna Eden and David Feinstein ). Donna uses her remarkable gifts to train and make people aware that WE HOLD THE KEY TO HEALING OUR BODIES! In fact, by following the many simple steps (there are about no less than 50 key exercises to unblock energy blockages in the human body) that Donna and David teach their students, YOU – yes YOU – can practically improve, remove and cure almost any disease in your body now. I mentioned “energy medicine” here because it is reviewed and practiced by several medical and scientific members of the healing community. But I also want to point out that pranic healing or reiki have also been practiced by members of the medical community for some time now. I know for a fact that medical doctors in some Thailand hospitals have been applying pranic healing as a supplementary healing practice to a lot of sick people in the Kingdom. Which brings us to the subject of the title of this post – what is the number one block to healing? The answer is OUR MINDS! When we train our minds to be “negatively focused”, when we keep repeatedly telling our minds that there is “no logical cure” to what we are experiencing as a disease or ailment, when we keep drumming into our minds that the only cure to our ailment/disease is a guy in white scrubs with a stethoscope and an MRI scan in one hand – then we, wittingly and unwittingly, doom ourselves to becoming “victims” of our own ignorance and stubbornness. From left: David Feinstein, Donna Eden and Vishen Lakhiani of MindValley discuss how to do energy healing and energy healing medicine. Donna’s energy medicine and Master Choa Kok Sui’s pranic healing are just examples of “the discipline of healing beyond sometimes the comprehension of most of the scientific and medical community”. Why do we keep denying that they work? Countless people have benefitted and got healed through Donna’s and David’s energy medicine. Even when I was studying pranic healing under my teacher – who was also a highly respected clinical psychologist and head of the psychology department in their university – there were already recorded cases of people healing from really debilitating diseases using pranic healing. And this is in spite of the fact that even pranic healing and the Chinese practice of energy healing has been around and practiced for healing for thousands and thousands of years! Yet people still insist that these disciplines are just pure “quackery”! Hopefully, they won’t now once they watch Donna and David’s energy medicine video J! This entry was posted in energy healing, Healing, self-empowerment and tagged David Feinstein, Donna Eden, energy healing, energy medicine, Healing, healing with energy, Master Choa Kok Sui, MindValley, MindValley Academy, pranic healing, reiki, Vishen Lakhiani. Bookmark the permalink.